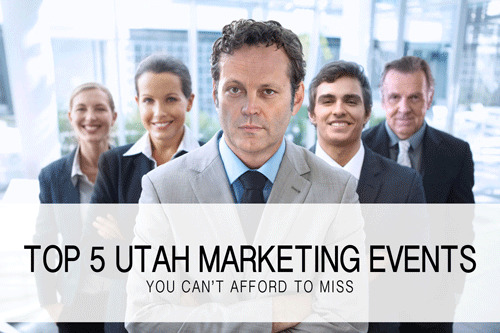 Are you interested in attending some amazing marketing events in Utah or Salt Lake City? These events we will list next are some of the best marketing events in Salt Lake and the surrounding area that will give you the insight you need to succeed with your small business or as an avid search engine marketer. Not only do these events have great content and great speakers, but they also provide a great way to network with like minds in your area of business. These are events you absolutely can't miss! This is a non-profit organization that provides monthly events on search engine marketing and other digital marketing strategies. This is one of the most well-known organizations in Utah that brings in great industry-leading speakers, provides tools for SEO learning, and great networking opportunities. For a paid membership fee, you can have access to these monthly events. Every quarter, Fit Marketing holds an inbound marketing event in Salt Lake City. This is one of the biggest inbound marketing events in Utah, and also known to be one of the most valuable. This event is more geared toward inexperienced marketers looking to get a beginners start on SEO and marketing for your website, and open to all sorts of business owners, local companies, and small businesses. Although this is a little more costly of a membership, your monthly subscription gets you access to events, news, and resources. You can also just sign up to attend one of their events at a reduction of the cost, which is of value to a lot of marketers. The Utah Chapter holds great events on marketing automation, SEO, holds webinars, and more. The Adobe Summit is a digital marketing conference held in Salt Lake City, Utah providing the latest strategies and information to grow your company through digital marketing. They have amazing speakers, hands-on labs, training courses, and more that will increase your marketing skills and allow you to reach out to great industry leaders through networking. Many times, this event is sold out quickly because of the demand, but you can still watch keynotes and live online sessions on-demand. The Qualtrics Summit is a yearly event that allows attendees to hear from some of the most innovative leaders in the marketing industry. Filled with breakout sessions, inspiring speakers, and a great chance to network, this is another great marketing event series to attend, and is sold out very quickly. Do you have any other great marketing events that you would like to share? Great ideas on events that you would like to see in Salt Lake City or the Utah area? Comment below and give us some ideas on more events and any questions you may have!